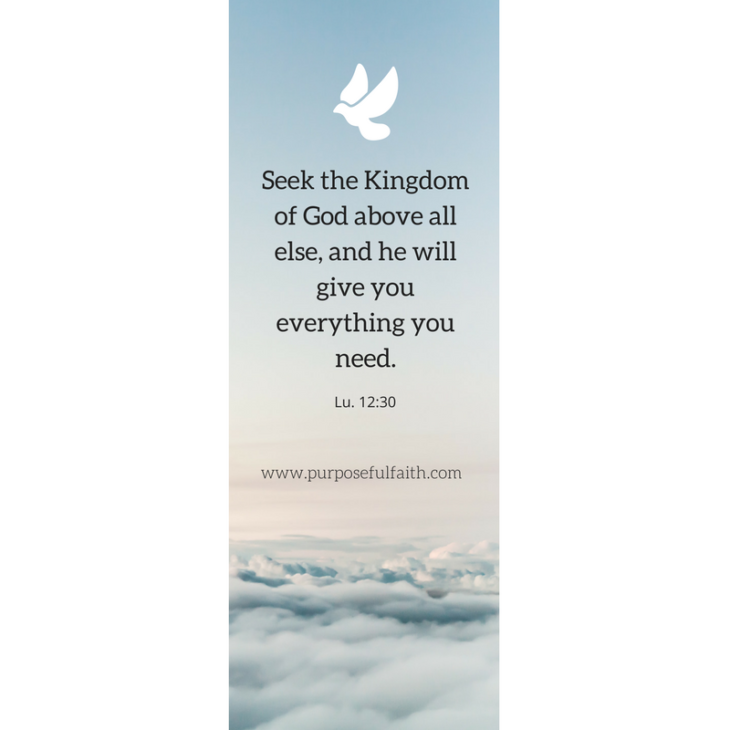 Seeking the Kingdom first = Getting everything you need. Letting go of the mind-rubbish consuming you to let God’s plans consume you = Getting everything you need. Seeing the world as God’s drawing board and you as the paintbrush = Getting everything you need. Getting love loosened from you and into the world = Getting everything you need. Keeping your eyes on the kingdom of God, versus the kingdom of your every-waking-need= Getting everything you need. Being watchful through prayer and diligently pursuing God = Getting everything you need. 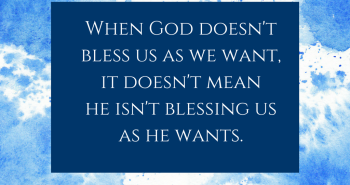 God knows what we need. He has a good plan to give it to us. We need not worry about our fiefdom; it is all about His kingdom. She wanted the girls at her school to see her nice. We all want to be seen nice, don’t we? We try to put on our best face at get-togethers. We try to hide our nervousness and to soften our points of disagreement. We try to be the person everyone likes. It is human nature to want to be seen: nice. But what happens when, despite our best efforts to love, share, or to be honest, something goes horribly kaputz? What do we think in our mind when we tried, yet failed. When we speak and someone is offended? When we aim to apologize but the argument gets heated? How do we contend when our best efforts go horribly wrong? Galatians 6 says, “If I were still trying to please people, I would not be a servant of Christ”. Something here speaks to me. It says: If my goal highest goal is to ensure man is happy, I will hardly be in service to Christ. The fact of the matter is while we look at people’s faces, God always looks at hearts. And while we are tallying up what is happening with others, God might be working something fantastically new within them. Face-value reactions are not our guide; the Holy Spirit is. When we are true to God, he will be true to see the best result through. We, in humility, wait and respond accordingly. Sometimes, it involves an, “I’m sorry,” or “I should have done this better.” All this is okay. We just move with God, always. And rest in the truth that He has already figured out what we haven’t. And this is peace that feels – nice. Prayer: God, far more often than not I want to look nice to man. God, help me to have a heart and mind that aims to always look nice to you. Align me with your truth, will and heart. I want all of you and less of what holds me back from you. In Jesus’ name I pray. Amen. A person taken advantage of by a boss. Another in desperation because there is no way out of a marriage. One uncertainty about what the future holds because children are now gone. A friend in deep need to be healed not only of cancer, but emotionally. We see these people, but we often feel helpless. We don’t know how to help. What to say. Jesus had none of that. He replied, “You feed them.” (Lu. 9:13) He says the same to me. You feed them. 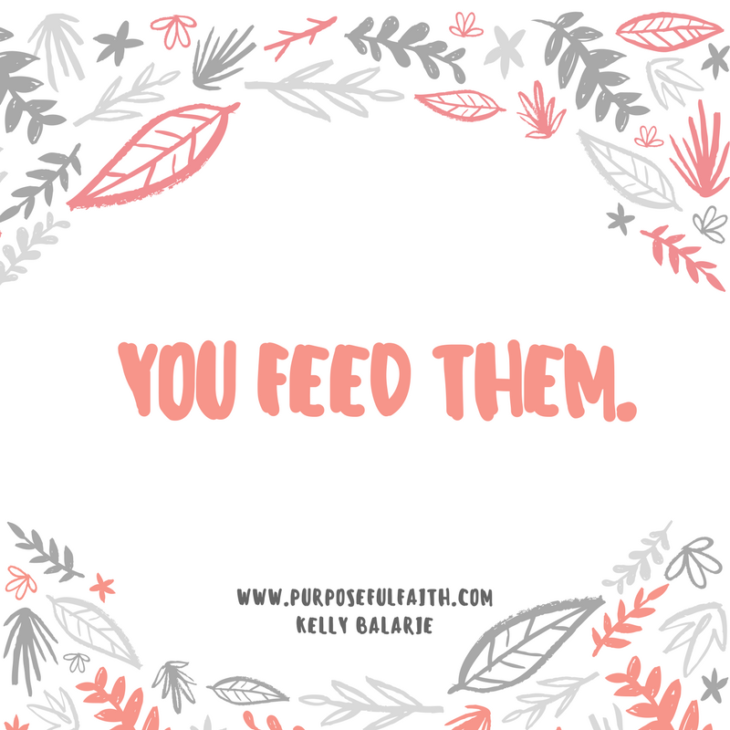 You feed her – the daughter who needs to know you’re listening. You literally feed him – the husband who is tired and comes home starving. You feed them – the couple who looks downtrodden at church every week. Go to them and see how you can get to know them. You feed that one – the person who has been on your heart for weeks, but you haven’t taken a step towards. This Christmas season, neighbors left and right came out of their house with little cookies for me and my family. I was far from home and without family nearby, but they came – and they came with smiles. Some with gifts. And every one with a heart of love. This season, I got fed. I feel full. I told my husband it was like we were with family for Christmas. These people didn’t count up their own deserted land and have a pity party of their own. They picked up their tin and came over. This is what Jesus means by feeding. Just get out there and do it. It matters. Small things offer others big heart strides. And the truth is, all of us have a something, even if we have nothing. His name is Jesus. He is always our something. He is always our first leading to our best thing to do, to give, to hand away no matter how big or small. 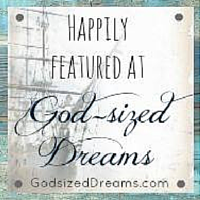 Size never matters in God’s economy. What is little gets big, in the name of Jesus. 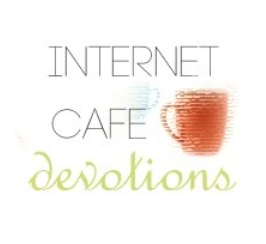 Prayer: God help us to do the small things you instruct our heart to do. Give us a will of follow-through. Give us intent to love. Give us your vision and your hearing so that we might love a world in need. In Jesus’ Name, Amen. The exterior of my house looks like a junkyard. I am not exaggerating. Out front is a broken desk; it was shattered during our near-cross country move. Out back are two sets of patio furniture. Ones I picked up and off the neighbor’s lawn. I’ve never done that before. I really wanted patio furniture. So, the first second I saw the first set, the wrought iron white chairs, I declared them as cute as could be. That is, until a couple weeks later rust stains started showing up everywhere. I haven’t gotten rid of the chairs yet. My deck now is etched with tons of full-blown brown circles. The other set was the replacement for the first set. I spotted the two big brown wicker chairs set aside as “throw-away items” in a neighbor’s yard. I rapidly snagged them (may I remind you, I’ve never been a trash hunter…I really wanted patio furniture). Like a sleuth agent, I threw them in my back yard before anyone could see. Only later did I come to find out that the majority of the legs were missing. I guess they had enough legs to fool me at first. Go figure. So, now, when I go outside, front-yard or back, I am overcome with junk. Junk that is rusty. Junk that is wasteful. Junk that is annoying. Junk I now have to figure out how to dispose of. Junk that leaves stains I also have to get cleaned. Junk that pesters me. And, no patio furniture, to boot. What junk are you dealing with in your life? An old house? An old wardrobe? An old annoying habit that drives you nuts? A problem you can’t fix? A person you can’t de-stain? Baggage that feels to internally weighty to unload? We can shift our attitude. Did you know that? I tried it. Sitting on the said-white chairs, the other day, I recommitted to God to be positive about it all. That is. . .until I looked left. . . and saw the brown chairs. Grr…not them again. My thoughts wandered off to lands of annoyed and not-bueno. God, how do we continually see the good, while we are surrounded by the bad? What if we were really go give thanks in (and for) ALL circumstances, good and bad? God thank you that these rusty patio chairs remind me: earthly things rust, eternal things last. God, thank you that the brown chairs, flipped over, with their broken and legless limbs up to the sky speak: on earth we don’t get everything, but in Christ, we have all we ever need. God, thank you that the broken table out front is symbolic of seasons: they change, but your love, God, always stay the same. God, thank you that what looks like junk can be seen through a new light. Thank you that what looks broken is a reminder of my brokenness and how you’ve repaired me. Oh God, I give thanks that you haven’t left me broken, but you are repairing me. You are good. To give thanks for our bad, is to, undoubtedly, find God’s good. It is to let victimhood, despair and frustration drop off you and to let a high and lofty view come in you. It’s powerful. Junk has purpose. Thank you God, my deck kind-of, now, looks like art work. God, help me to give thanks. So many times I see what is bad, but through you, I ask for vision to see what is good. I ask you for a voice full of praise and thanksgiving. I ask for understanding of what you are doing through the hard times. In Jesus’ name, I pray. Amen. Relieve yourself of this. You don’t have to have it all marked out with lines pointing to things, with circles around events, checkmarks next to your part and supporting roles delineated. It’s not your show. It’s not your story to write. God is Creator. He is also Author God. Let him write a better story than you can. Give up your need to theorize, summarize and categorize people and all the details that go with them. If Jesus wanted you to be ruler, he would have let you know this before he died, but he didn’t. His grace is your grace when you give Jesus space to fill the blank lines. Then, you actually get a chance to see God work. 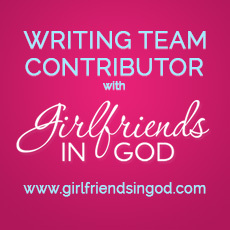 But if you already have every line filled in and filled up, what room does this leave an active, always-writing, ever-working God? Avoid your need to know. Eve wanted to know everything. Satan wanted to know he was higher than God. Knowing is not our goal. Abiding is. Stick to abiding. Self-soaked ambition masked in some cover of godliness is still nastiness. Intellectual know-how covered with a know-it-all attitude still stinks. Choose instead to let Jesus wash you. White. Clean. Let him be highest. The highest scheduler. The highest orchestrator. The highest lover. The highest mountain. The highest plan. 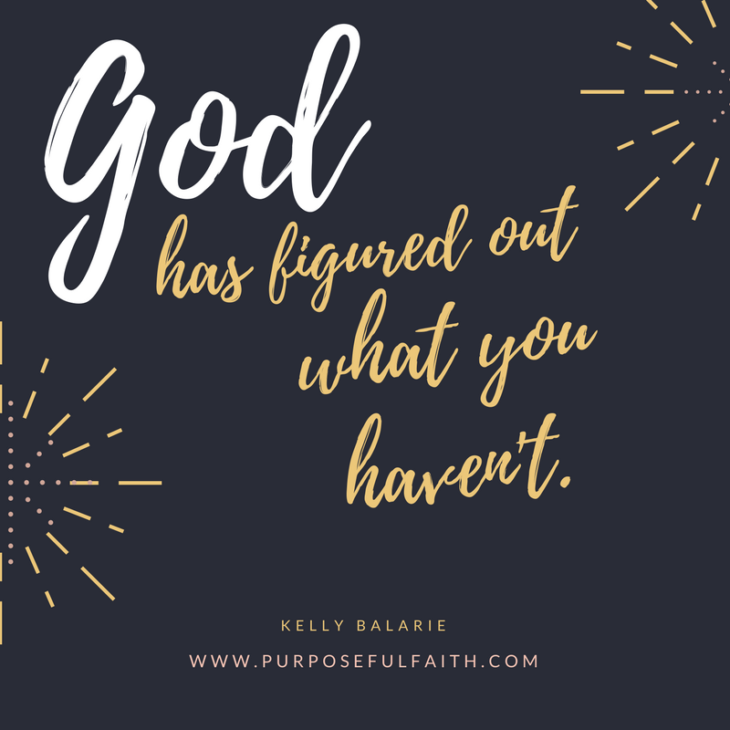 You don’t have to have it all figured out. You don’t have to know every detail. You don’t have to be in tune with the whens or the whys. You know the WHO. It’s Jesus. He has you. He has a plan. Prayer: Jesus, it’s all about your heart. It’s all about your desires. It’s all about you coming to earth, so that we could come to heaven and be with you always. 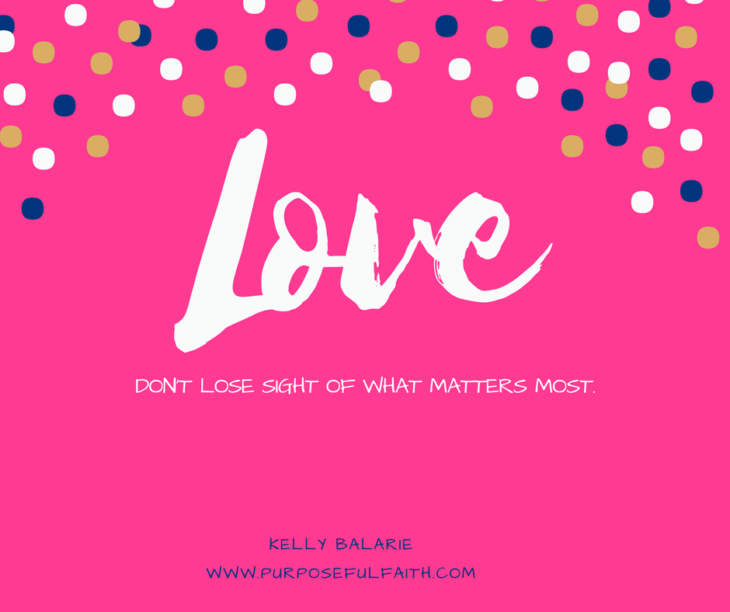 Don’t let us lose sight of what matters. What a waste it is to have eternity with you, but to miss daily life with you. We want every moment with you. Restore that to us. We repent of what is not ours to keep, manage and rule. We trust you with what you want to give us. We lean on you. In Jesus’ name. Amen. Names. What is in a name? Now, you all might see me as a fighter kind of girl. 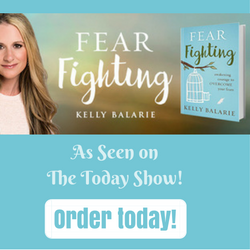 If you’re read this blog long enough, you know I wrote a book called, “Fear Fighting.” But, what you may not know is I am also writing a book called, “Battle Ready.” You’ll meet it come July. The point is not me; it is my name. My name means “warrior”. Kelly is warrior. I never knew that. I never knew I was a warrior, until God called me to write these books. Still, God never had names like those for me. What names do you give yourself? What name might God give you? Did you know, even if your name has no obvious meaning…God gives you names: daughter, loved, friend, royal priest, light of the world? 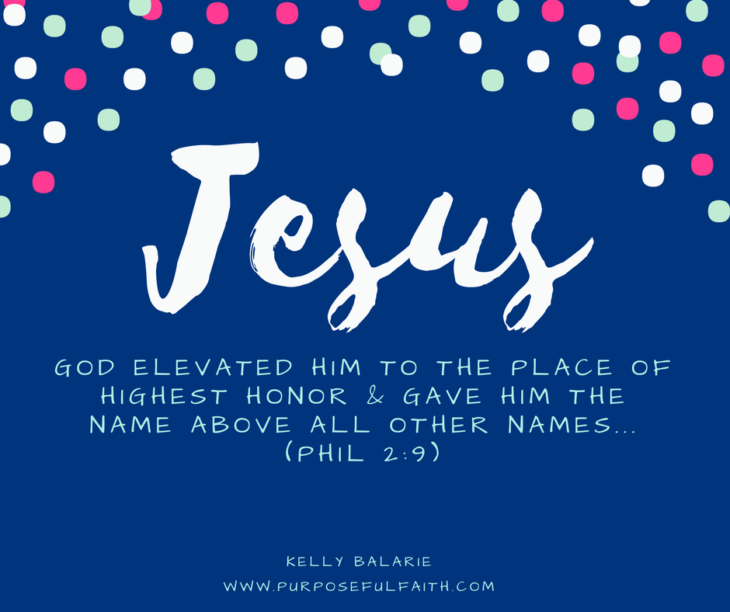 These are your names, even if you can’t believe them now, Christ’s fulfillment is written over each and every name, just like I learned mine was. Sometimes, I doubt my name. I am all…I am not a warrior today. But, do you know what is best of all? Jesus always is Jesus. Father always is Father. Daddy is always still there. Knowing the firm names of God supersedes the names of doubt we call ourselves. 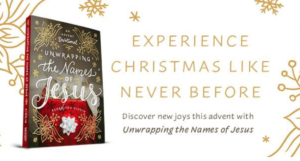 This is why, this Christmas, I delight in the names included in the Christmas book, “The Unwrapping of the Names of Jesus” by Asheritah CiuCiu. Jesus’s name is the height of all names. It gives cause to my name, even when I doubt myself. This does not matter, because God remains the same, consistent and power-full. This Christmas Season, what if you were to usher in, not just the baby, but the power of Jesus’ name with a humble in-awe view of the saving light it casts on you? How might, through Christ, you begin to see yourself differently? Learn more about Asheritah’s new book, Unwrapping the Names of Jesus: An Advent Devotional. Catastrophe hit my family, and while I can’t go into the details here, I can assure you it shredded my heart. It scared me silly and caused me to release tirades on people I love. I am not as good as you think I am. Nor am I as good as I thought I was. I’m a whole lot worse. Yet, through this there’s a hidden blessing: I see how much I need Jesus. His light. Because apart from Him, my thoughts are dark. Getting to this thought is freedom. Apart from the nature of Jesus (love, kindness, goodness, truth, nobility, purity, loveliness, excellence, wisdom, humility or gratefulness) all I see is darkness. Worthlessness. Vanity. Diversions. Fear. Voids. Schemes. Faking. Swirling tornadoes of emotions that lead to an inward focus, plus a generalized sense God won’t come through. The choice is ours. . .
Reliant on the Living Water? All Jesus, all the time? Or me, myself, and I, all the time? While our world hates calling things one way or another and we tend to desire shades of safety, sometimes one-way-or-the-other choices are exactly what God ordered. All things hope, all things faith, all the time…not done with perfection, but certainly done from a heart of dedication? What if we were to choose to see faith, hope and love activated by the grace of God, as we. . . Pick our kids up from school. Grab the bills from the mailbox. Go to that doctor’s appointment. Contemplate our yeses and nos. Let go of our defenses. 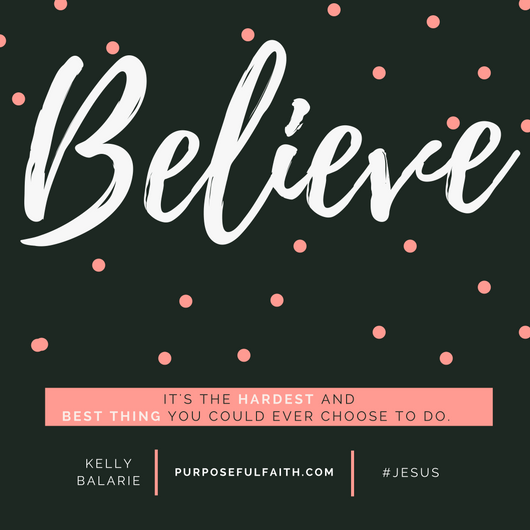 What if we chose to really believe? I have very good intentions to meet daily with God. As much as I can, I carve out morning time to spend with him. Most mornings, I put him first when I wake up. Although not lately. This burdens me. Jesus is seed for my life. I either grow life, or…I don’t. 1. The birds eat them after they were thrown on the path. The enemy comes and gets you caught in discouragement, despair or doubt. He steals clarity regarding this word and replaces it with confusion. Nothing takes root. 2. They fall on shallow soil with rock underneath. Plants spring up quickly, then die in the sun because they don’t go deep. Your heart is not prepared to embrace it and the insecurity and worry underneath prevents it from growing. Trials become issues that cut off the life God wants to grow. Nothing takes deep root, so you fall over when heavy winds come. 3. Thorns choke out the tender growth. Distractions of the world (phone notifications, schedules, agendas, television, worries and worldly pursuits) crowd out the faith, hope and love God desires to grow within you. 4. They grow deep into fertile soil. Deep within you, roots grow. They reach not just the surface level of your being, but the inner heart-places of your being. They change you from the inside out with true and lasting transformation. To let God in you, into the deep, is to have your life deeply changed. 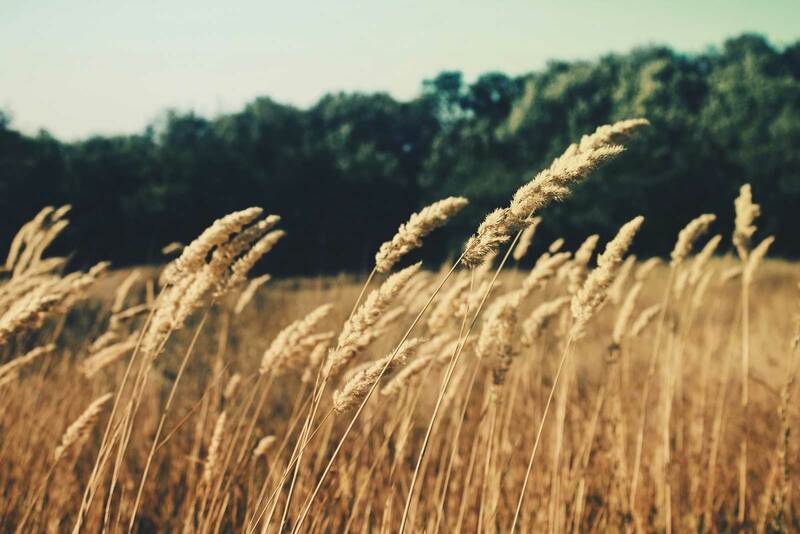 What can you do to cultivate fertile ground? How can you prepare your heart to receive the best of God? 1. Seek God with humility: Be prepared to have him point out areas in your life He wants to change. 2. 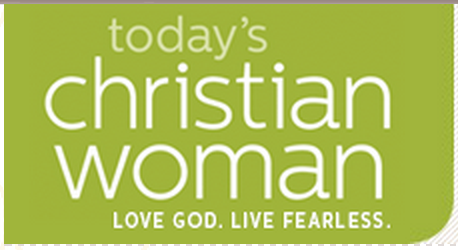 Get a good daily devotional. 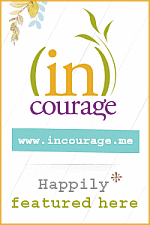 For example, I am a contributor to the 365-day (in)Courage devotional called, “A Moment to Breathe.” It is a great way to start your day from the place of the heart. Learn more. 3. 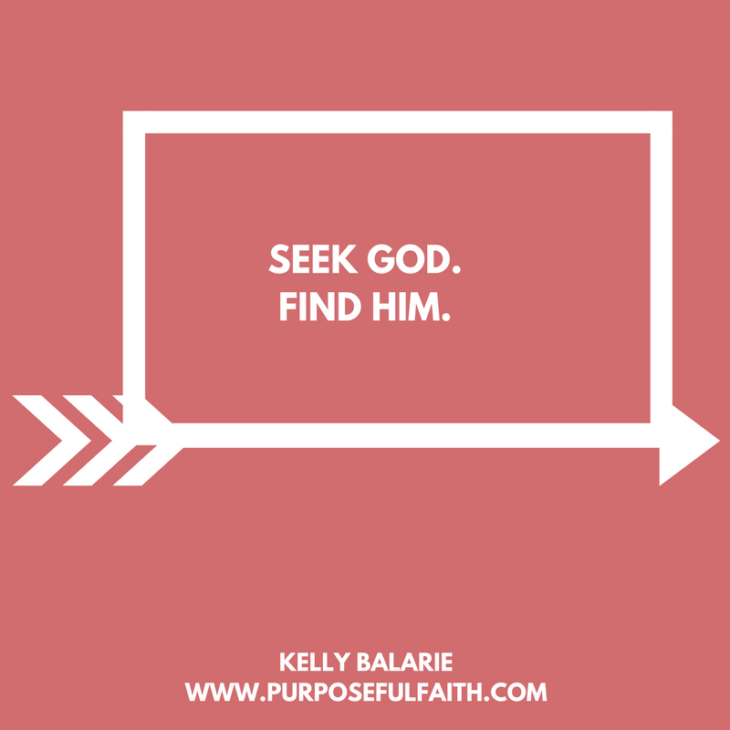 Look for God. Take notice of themes and of moves of God in your life. He may be calling you to something or re-teaching you something he really wants you to grasp. 4. Yield to His ways. 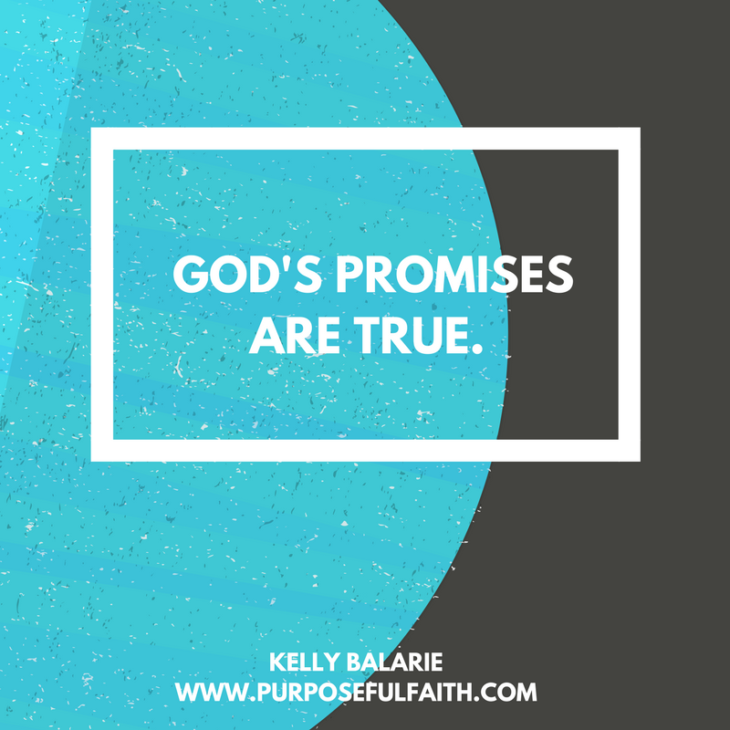 Rather than pushing forward with what seems right (see: #3), go with what God says is right and let him teach you through your discomfort along the way. Fertile hearts get deep roots that keep standing during the worst of storms. The high winds and trials of life can’t knock them over. 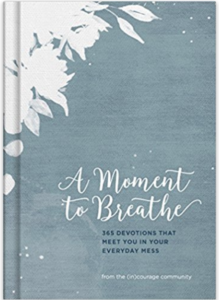 With 365 readings, from 80 writers (including myself) each day begins with a passage of Scripture, tells a story of everyday faith, and encourages you to take a moment to breathe with a simple but fun way to complete your day. 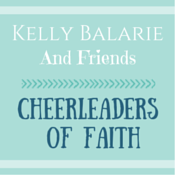 So kick off your shoes and join us for a relaxing but special time, where friends come together and share the real stuff of everyday faith. Learn more about A Moment to Breathe. What if I’m not saved, loved, chosen? Thoughts raced in my head, leaving me rattled. What if God doesn’t forgive me for all the mistakes I made? What if I only believe I’m freed? What if I am not good enough for him, when all’s said and done? 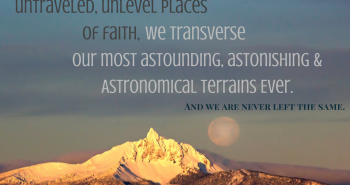 Has your mind ever calculated the what ifs of faith? The “What ifs of Faith” say I may not be in God’s love. I might be left behind. I might unlovable. I might never have been included in his saving faith. Many things can trouble us and make us wonder about our relationship with him. Words of another, your past, your sense of not being good enough, your endless faults, or internal criticism that shouts in your mind, your fears. . .
What, in the rare silence and contemplation of your heart, do you hear? As I took a walk today, questions stirred. I noted the dark rain clouds, the heaviness of the world and the shifting movement of a life passing me by. One day Jesus will return. One day he will come for me. It may not be far away. 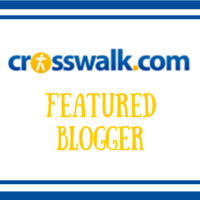 I walked, wanting Jesus, needing Him – his truth, his faithfulness. God, will you show me your glory? No sooner did I pray that I saw it: a rainbow. A promise so clear, as God’s faithfulness peaked through the heaviness of the dark and despairing clouds covering our pain-ridden world. What He says will come, will come. He is who He says He is. He will come in glory. And I? I’ll be cloaked in his grace. Covered by it. Dancing in it. Freed by it. Owned by it. Released from every burden that wants to convict or distance me from his love. Jesus did not come to judge the world, but to save it. And I am saved, not by my own actions, but by Him. Released. Taken care of entirely. Freedom exists behind every dark cloud. Freedom is Jesus. His grace waits to bust you out of the heaviness, regrets or bitterness clenching hold of your spirit. It’s all Jesus. Are you as hard on yourself as I am? So, last night I met with a bunch of women. With one of them . . .let’s just say I was a little overzealous to connect. My mouth got ahead of my mind and I blurted out some totally weird comment. Later, when saying good-bye, I uttered an I-don’t-know-what-to-say-so-I’ll-complain comment. Why? I have no idea why. I have no idea why I just released a complainy comment in my awkward absence of words. But, I did. It came out of nowhere. Ever done that? Well, these little mishaps didn’t end at that get-together. I got in the car and felt all guilty about me. I questioned what kind of Christian I am. I wondered why I can’t do things right. I kept wondering if the women thought less of me or if I seemed odd. Do you ever question yourself? Constantly? Jesus doesn’t do this. We do. And then, we let it in. What hooks might come out of our skin? What new places might our heart move to? What truth may we begin to swim in because we give our mind free reign to consider something other than self-condemnation? It’s okay to be hungry for grace. Horribly. Desperately. Ravagely hungry for it. Jesus knew we needed it. It’s why he died on the cross. Because we’ll never be perfect. We’ll never be spot-on. We’ll never be without fault. We need him and we need grace. 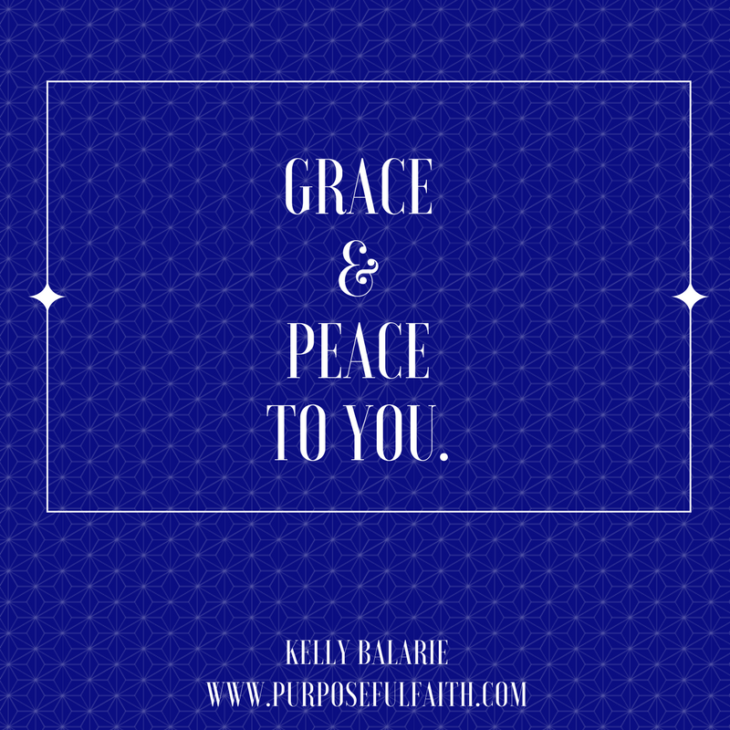 What if you gave yourself a break today and received his peace and grace so much that it set your mind free to receive Him?